You are looking at my handmade Lamb hat. 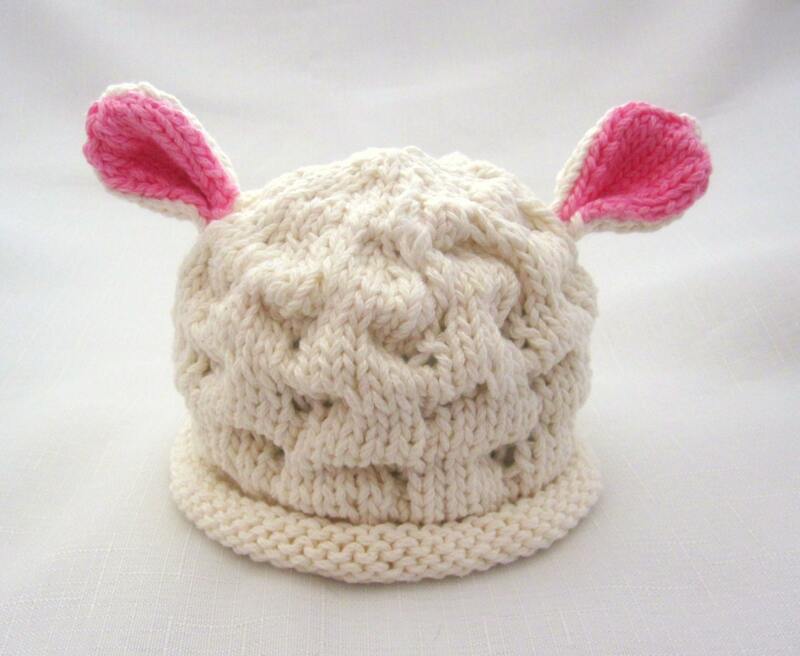 The Lamb is knit with a knobby stitch in a soft off-white yarn for the hat and rosy pink on the inside of the ears. This 100% cotton yarn has the perfect gentle softness for your little one. 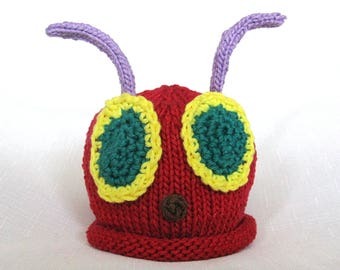 All of my hats are hand knit on circular needles, so there is no seam to irritate a baby's tender head or interfere with a photograph.